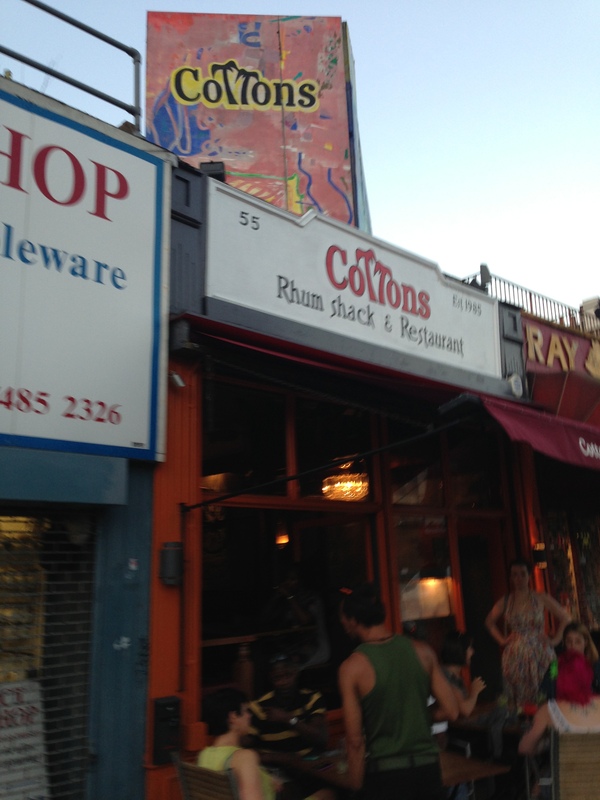 Cottons | Restaurants of the World Unite! There are approximately 1,000,000 islands in the Caribbean (fact) all of which are distinct nations and so it’s going to be a real pain in the gland to try to find a restaurant for each one in London. 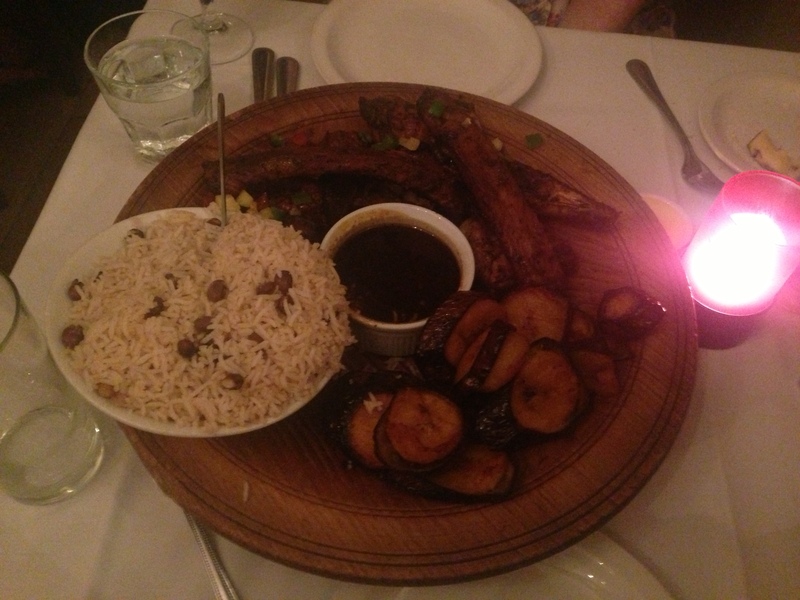 Nearly all Caribbean restaurants are listed as Caribbean, not any specific country. Plus, there are strong similarities between the cuisines from each country, as far as I can tell, so I’m looking forward to a lot of Jerk chicken, Goat curry and light beer. But I’ve been prohibited from including pop-ups by a pissy slice of mancake who can start his own blog if he thinks he’s so great. Forget you pal. Mrs Del Monte and me had been enjoying some quiet drinks at the Camden Lock and thought on a crazily humid evening what could be better than fiery hot Caribbean food, so we popped into Cottons. 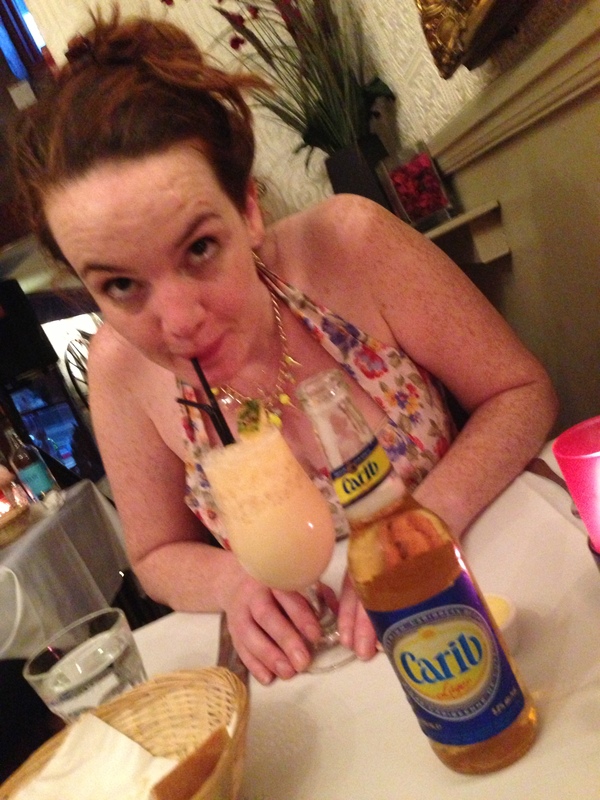 Whilst I enjoyed a tall, cool Carib beer, Mrs Del Monte had one of the best piña coladas I’ve ever tasted. 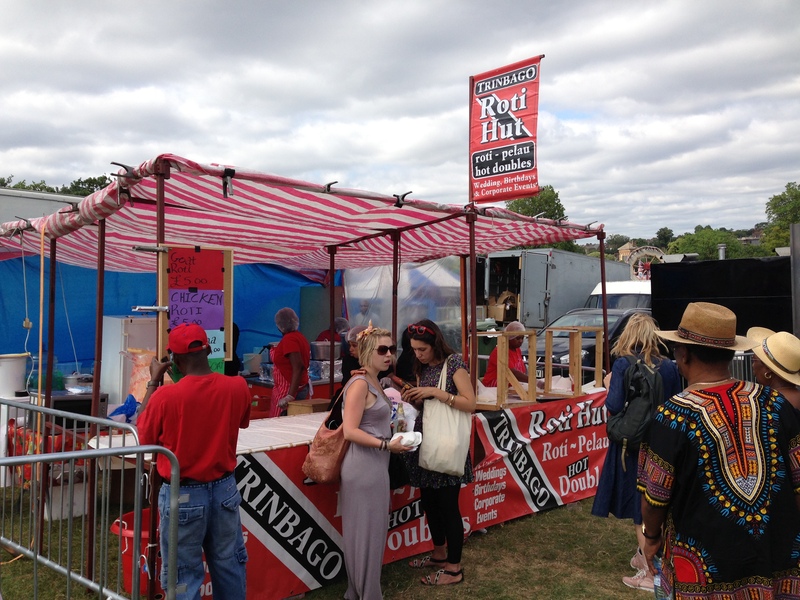 We shared the Mixed Jerk Meat Grill (also the name of a terrible sexual free-for-all organised by the Young Conservatives). Next to rice, plantain (naughtily fried in their skins), and a dipping sauce, BBQ I guess, was chicken, ribs, pork belly and kofte. The meat was properly spicy, as well as piping hot, just what is needed on a hot summer’s night. Special mention for the pork-belly which was blackened, tender, and sexually succulent. This is what Satan snacks on as he jabs Hitler in the nuts with his trident. 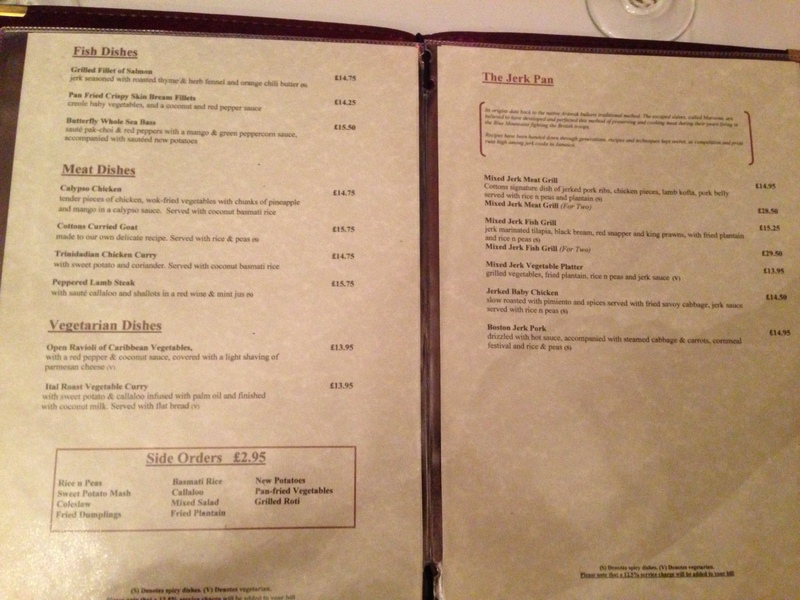 £45 for two people which I think was a bit of a swizz, but they did give us a doggy bag which I left on the tube. Like a tube. Dirty, perverted and thoroughly wrong. Also a quote from my 3rd year school report. A bike on the wall? But we’re not in an Irish pub. 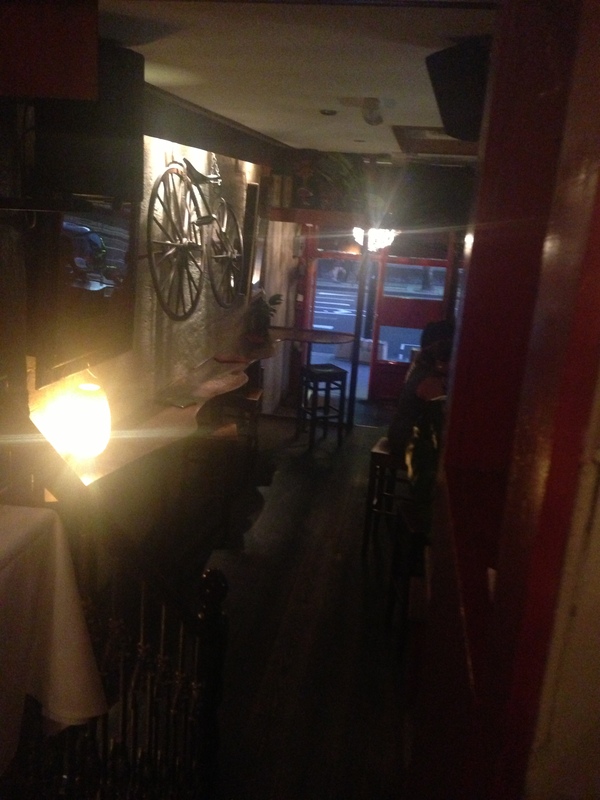 A bike on the wall, shelves stacked with antique butter churns and moulding novels only makes sense in an Irish pub. Apparently Samuel L Jackson has patronised this restaurant. The Jerk Pan … the Jerk Pan …. I remember! Very much not a Caribbean restaurant in Amsterdam, open after hours. I should have worn goggles.